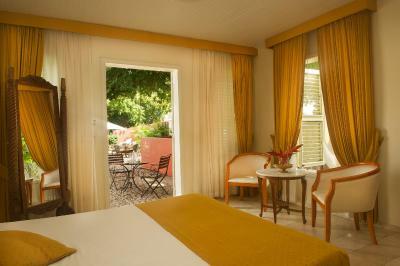 Lock in a great price for Kura Hulanda Village & Spa – rated 8 by recent guests! 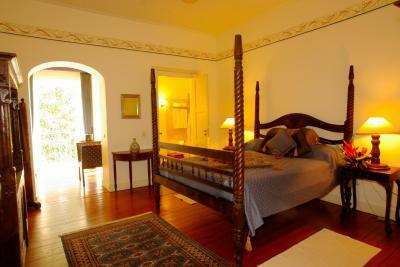 Yes...excellent bed...breakfast superb but atmosphere of restaurant too cold and dark. Second day breakfast at the patio...excellent! The location. The concept is great, but the place is crumbling quickly. Someone needs to inject a lot of money to bring this place back to life. A few staff members need a serious attitude adjustment and some customer service skills. The spa is a joke. The beach at their other property is a joke. Breakfast was plentiful with a great variety of choices and very well prepared by the staff. Location of course, is unbeatable and the museum on location filled with great displays and definitely worth visiting. That’s it’s very close to the town. And that it keep the old time Curacao look to its buildings. The staff was amazing! Always a smile and eager to please. The property is truly beautiful and the location was not near beaches, but downtown and that is where we chose to be. The location of the property was perfect! 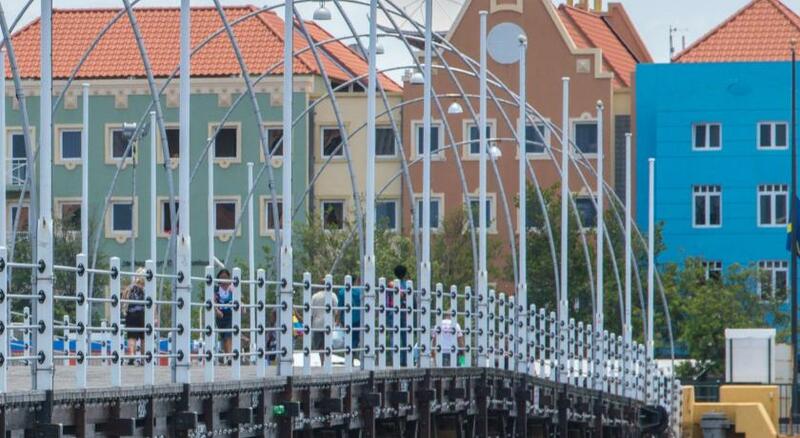 Only a 5 minute walk to Queen Emma Bridge and to the Punda side where you will find a plethora of shops and restaurants. Pleasantly surprised by the large variety of options on the breakfast buffet. The staff was very accommodating and willing to help in anyway. Especially Chef Anita! She was awesome!!! The location was perfect! It was a quiet haven in the city. 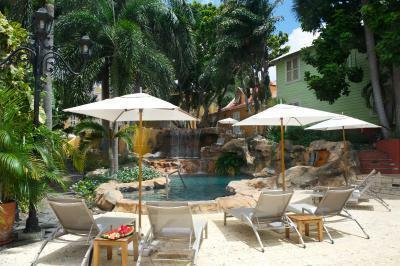 The resort was a large property with 2 nice pools. The location was great as it was near a lot of restaurants and the "downtown" area. 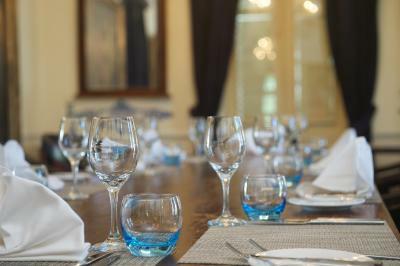 Staff were all very courteous, helpful and friendly! Despite some deterioration, the grounds and buildings are gorgeous and charming... truly enjoyed being there. Excellent location. Bed was comfortable. The old world feel was nice. It was close walking distance to everything. Kura Hulanda Village & Spa This rating is a reflection of how the property compares to the industry standard when it comes to price, facilities and services available. It's based on a self-evaluation by the property. Use this rating to help choose your stay! 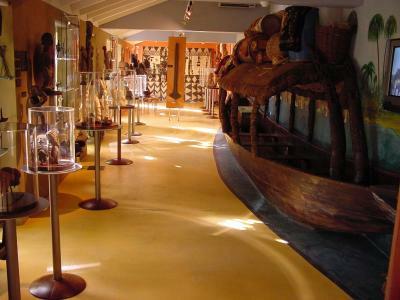 One of our top picks in Willemstad.Kura Hulanda Village & Spa is home to a spa and an anthropology museum. 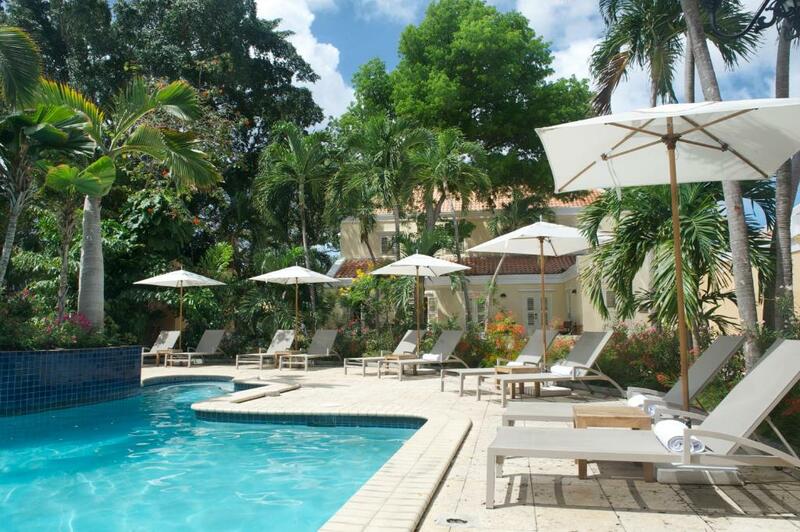 The property is within walking distance of many shops and restaurants in Willemstad's town center and offers 2 swimming pools and free transfers to the sister property Kura Hulanda Lodge & Beach Club, 45 minutes away. 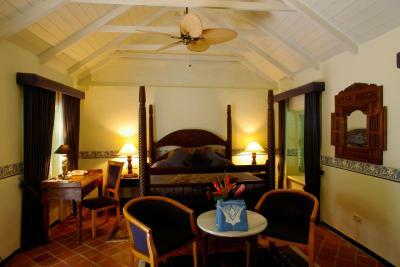 The Kura Hulanda resort consists of 8 blocks of restored historic buildings in Willemstad’s Dutch Colonial district, a UNESCO World Heritage Site. The complex includes charming cobbled streets, courtyards and gardens. Rooms at Kura Hulanda Village & Spa are decorated with hand-carved furniture, antiques and artworks. 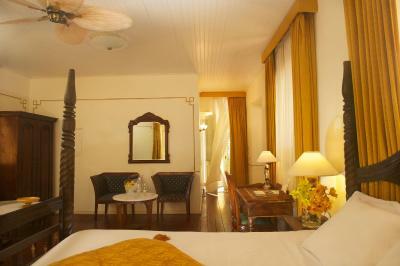 Each air-conditioned room has flat-screen cable TV, free Wi-Fi and a private bathroom. 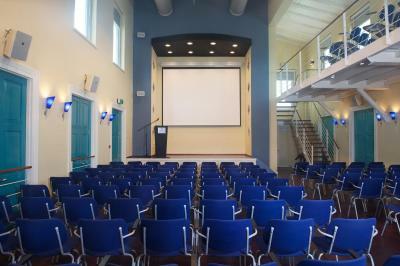 The complex offers various dining options, including a stylish café, a restaurant in the museum and a terrace bar with live entertainment, on selected evenings. 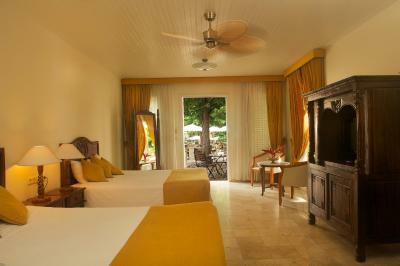 When would you like to stay at Kura Hulanda Village & Spa? 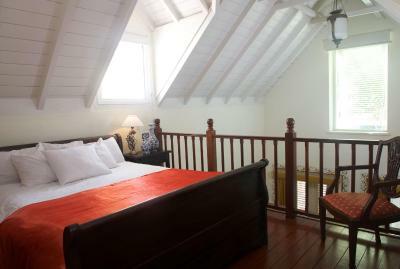 Decorated with hand-carved furniture, antiques and artwork, this air-conditioned room has a flat-screen cable TV, free Wi-Fi and a CD player. 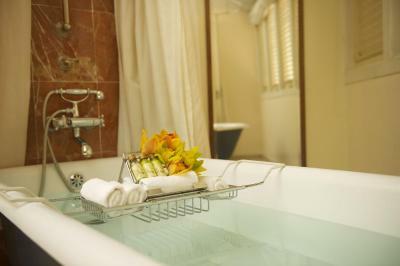 The marble bathroom includes a hairdryer, bathrobe and luxury toiletries. 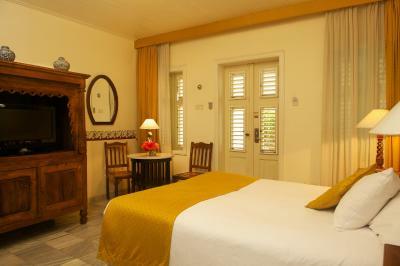 Decorated with hand-carved furniture, antiques and artwork, this very spacious air-conditioned room has a large sitting area. 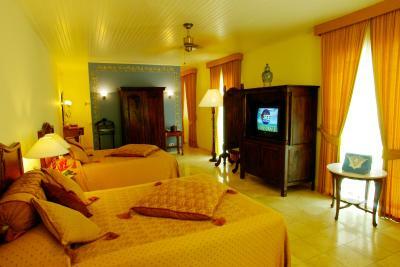 It features flat-screen cable TV, free Wi-Fi and a CD player. 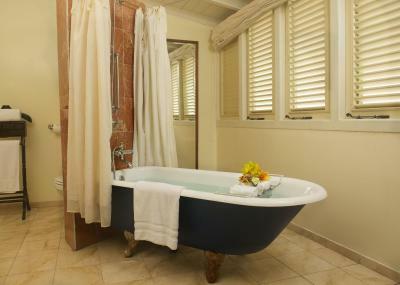 The marble bathroom includes a hairdryer, bathrobe and luxury toiletries. Very unique property set in a Village atmosphere. All cobblestone walkways and enclaves with art throughout. Even has it's own Museum. 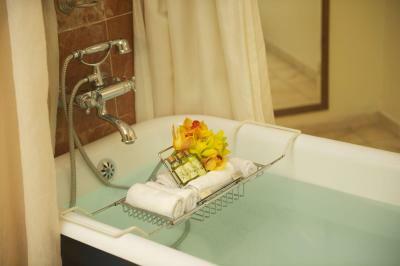 House Rules Kura Hulanda Village & Spa takes special requests – add in the next step! Debit card Kura Hulanda Village &amp; Spa accepts these cards and reserves the right to temporarily hold an amount prior to arrival. Kura Hulanda Village & Spa accepts these cards and reserves the right to temporarily hold an amount prior to arrival. 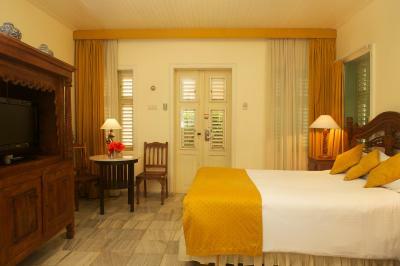 For Superior King or Queen Room, guests should specify when they book which room type they want. Please inform Kura Hulanda Village & Spa of your expected arrival time in advance. You can use the Special Requests box when booking, or contact the property directly using the contact details in your confirmation. Worn out hotel. Needs maintenance. Wifi was not working. Location and ambiance is excellent. It is a massive hotel area to keep maintained and in a coupe of places it needed some attention, like broken chairs on the lower terrace. This is one of the nicest hotels I've ever stayed in, it's like living in an outdoor museum or some kind of private old town centre. 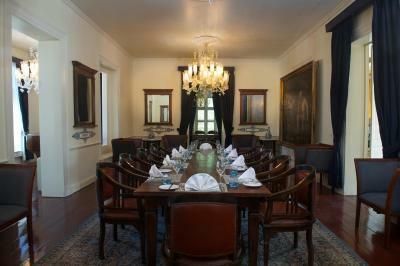 Very centrally located and also has it's own museum bar and restaurant. It's in a kind of enclosed compound so very quiet despite being so central, and the pool is good to cool down after walking around the town. 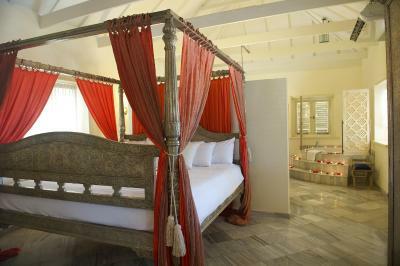 Comfy bed and lovely room with veranda and somewhere to sit outside. The free shuttle bus to the partner hotel at Westpunt 45 mins away is a massive bonus as it means you also have easy beach access for about 4.5 hours a day if you don't have your own car, despite staying in the city. It's a five minute walk down to the bridge to the old town and there is are a couple of excellent restaurants just around the corner. The breakfast choice was excellent, my only complaint would be that the hot food tended to be not very hot. 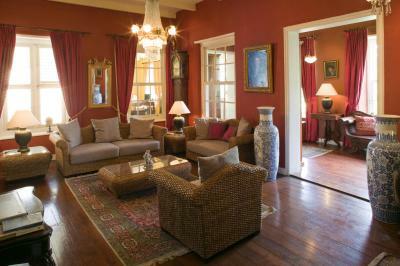 5 mins walk away from downtown action , Antique architecture but modern service . 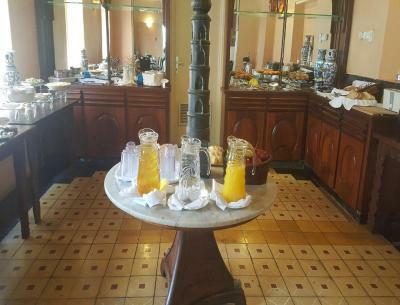 The breakfast had a nice variety and buffet style : ) ......the two pools were nice as well. Everything could have been better. There is no management here. The lighting in the area of the Curacao Garden. Just a bit too dark. The breakfast continues to be great and delicious, with a large variety. Could do with a little more fruits. 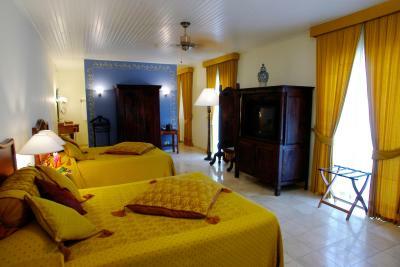 The location of this hotel is fantastic with the walk to the centre of the town no more than 5 minutes. The hotel is a museum, full of art and history always something the learn about. Almost everything else could have been better: 1) Ar conditioning was ancient and so dusty/dirty it gave my husband and I allergies on day 1. Since turning it off was not an option due to the climate, we basically had to endure it. 2) Breakfast was excatly the same everyday. Same breads, same fruits, same "chef especialty", etc... 3) Room was old (and not in a "nice-historical-way"). Everything was old: on the first room we sayed in, there was no hot water, which made impossible to fill in the tub. 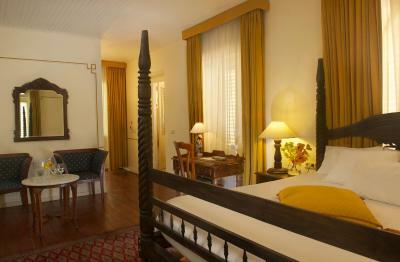 Staff was kind to change our room and, on the second one, our bed was so old and screws were so rusty it simply broke! Terrible! Location was great, as well as the general "vibe" of the hotel (nice historic village). it cannot be, that hotel only have one bottle of GIN. Also next day we were not able to order GIN Tonic as service staff did not received GIN.?? we had to move and spent the night at another bar restaurant although we wanted to stqy at the hotel. location of the hotel is perfect. Staff were very helpful for informations. 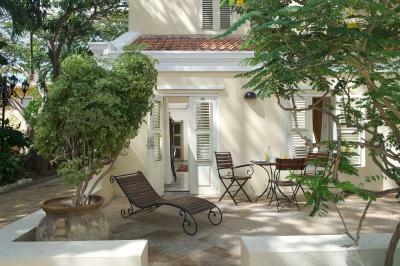 A nice, hidden hotel in the middle of Willemstad. The hotel is in and forms part of a museum area with restored buildings, streets and squares. Art objects are everywhere. Excellent breakfast buffet and otherwise good food. Nice little relax pool with free towels. Great staff and good service. If you want to visit the city, this hotel is perfect. It's not a beach hotel. The place while it does have a rustic feel to it which I enjoyed, is definitely due for at least some renovation. Overall though the facilities were very good and clean. The rooms smell of mold and dust. If you have allergies, remember to bring medicine or you'll be sneezing constantly in there. I stayed in what I think is a higher-end room in the hotel and it has a weird smell right from the door. Air circulation in there is almost non-existent, even though my room had two exhaust fans, turning them on made the air smell worse after a while. You get used to it, but getting used to a bad smell isn't exactly my ideal for a hotel room. The air conditioning worked nicely though. It's noisy but keeps the room at a nice temperature. I don't know if this is an issue in Curaçao in general or just the hotel, but the water there has a lot of chlorine, at least considering what I'm used to. Sometimes you'll be able to smell it, but you can feel it mostly by how hard your hair becomes after showering. Also important is that the room has *very* little light. It's really dark inside. To the point it might be difficult to identify the colour of your clothes. The only decently lit place was the bathroom, which in our case had maybe 6 lightbulbs inside. The bed and ceiling lamps would only help you to walk around the room, but any time I wanted to really see something in detail I'd turn on my phone's flashlight because the room's lamps are not enough. Breakfast was nice. Found some of the food to be too dry (as in cooked too much or stayed out for too long) but they have a nice amount of options to choose from so not a dealbreaker. The breakfast area also has a nice patio with a fountain that's on occasionally which makes for a relaxing early morning. Smoking is allowed on this outside area but you can usually pick a spot upwind - it's usually lightly windy in the mornings there, which is also kinda refreshing. Location is great if what you're looking for is exploring the area by foot. There's a pool inside the hotel, but no direct access to the beach so you'll have to leave for almost everything (which in my opinion is much better than staying at an all-inclusive place, but to each its own). The hotel's back entrance is ~a block away from the Queen Emma Bridge, and by extension the Renaissance casino and Punda/Pietermmai are also a few minutes away by foot. The area felt safe enough to come back to by foot at night and if you have a car, you can park it inside the hotel too. There's a nice bar on the inside and the hotel itself is charming, if you're tired you can relax a bit just staying by the pool or the main square with a drink. There's also a couple of very gentle cats that seem to live on/near the property, one of them will even let you pet it - the other one mostly runs away, except if you've got food.